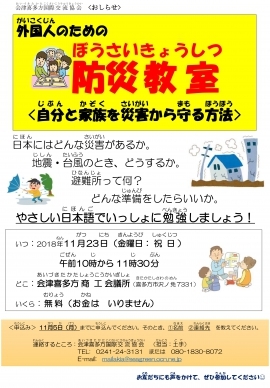 Aizu Kitakata International Association will hold a disaster prevention class for foreigners. You will be able to learn, using easy Japanese, how to prepare for earthquakes and typhoons. It is free for everyone to attend.